The sound of the rustling leaves told us something was lurking nearby. We wandered deeper into the camphor trees, acorns cracking under our feet. We knew he was nearby… any minute now, we’d find Totoro. Totoro, of course, is a large cat-like spirit who stars in My Neighbor Totoro (となりのトトロ), one of writer/director Hayao Miyazaki‘s famous animated films. 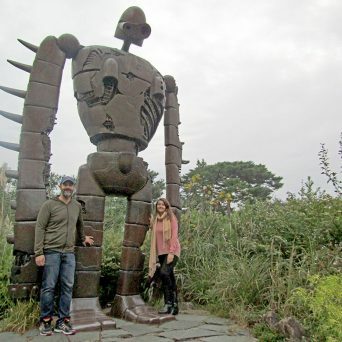 Totoro gained some fame among fans of Japanese animation in the U.S. when Disney dubbed the film into English in 2005, but the movie and its characters are deeply engrained in Japanese pop culture. 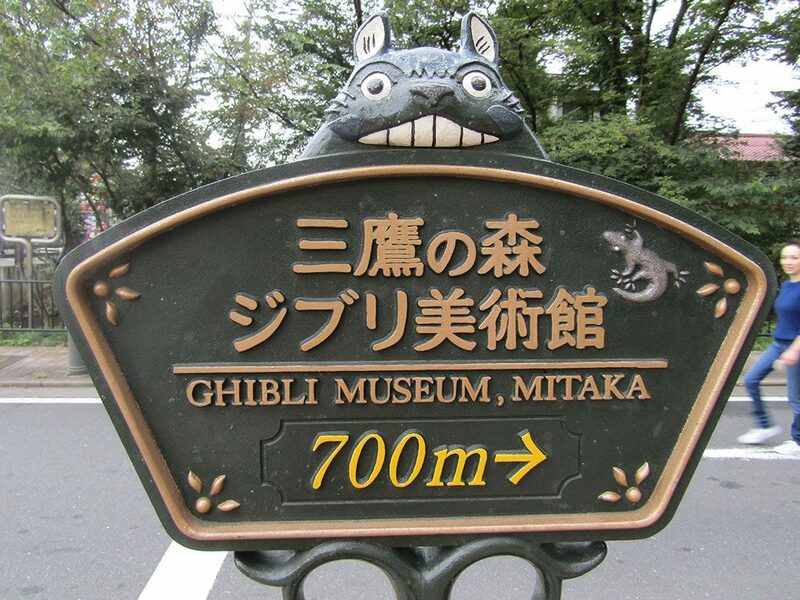 I’d never heard of Totoro or Miyazaki before coming to Japan. I’d kind of heard of another Miyazaki film, Spirited Away, but only because of its 2002 Academy Award win for Best Animated Feature. Turns out they’re just two of many wildly popular and successful films in the Studio Ghibli catalog. 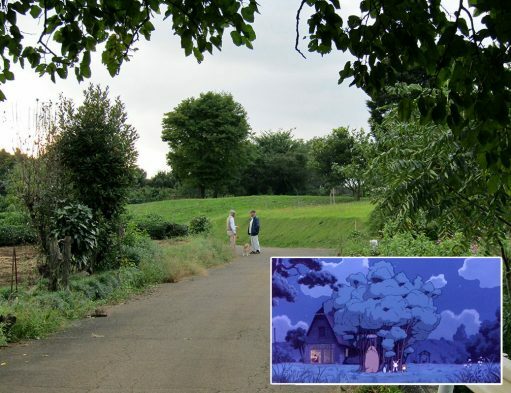 Last week accidentally turned into a Totoro pilgrimage. 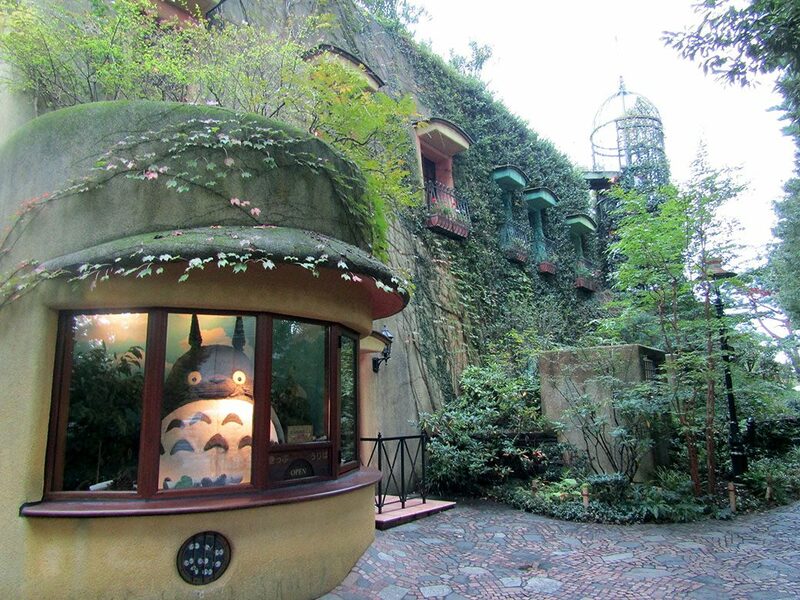 We’d been trying to visit the Studio Ghibli Museum for a few months. Tickets are limited to a certain number per day and usually sell out weeks in advance. We finally managed to score a pair for the last entry on a Sunday afternoon. Click any photo in the gallery to see a larger version and start a slideshow view. 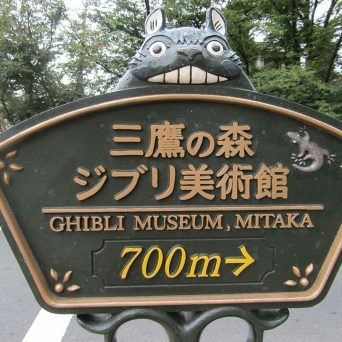 We caught our first glimpse of Totoro as we entered the gates of the museum. 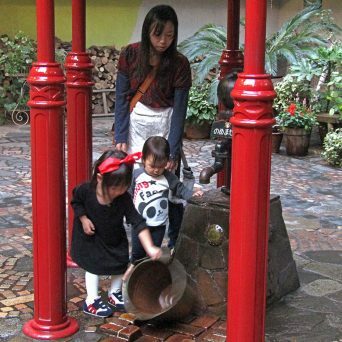 While photos are not allowed inside, the museum’s exterior grounds offered plenty of fun photo opportunities. Inside, kids of all ages geeked out over a mix of exhibits showing different animation techniques, Miyazaki’s workspace and interactive opportunities for everyone. 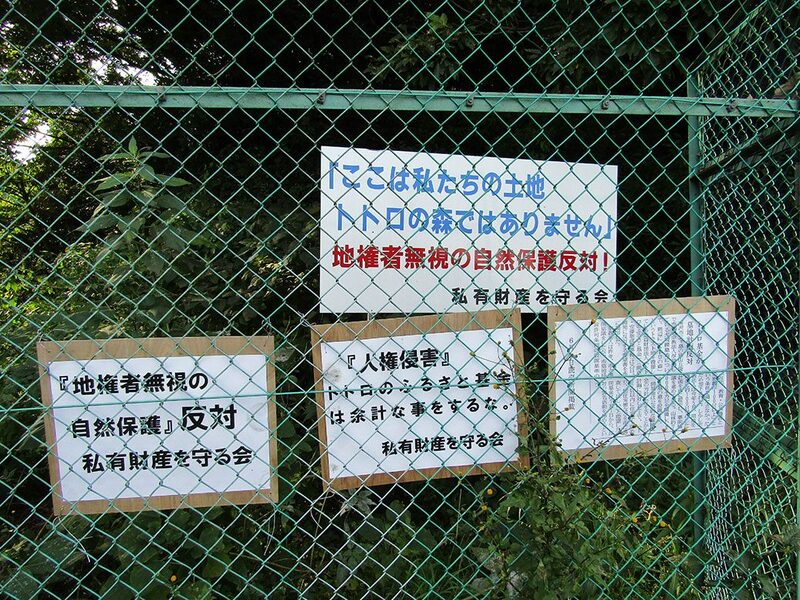 There’s even a film made specifically for the museum called The Whale Hunt (くじらとり). Our Totoro adventures didn’t end at the museum though. 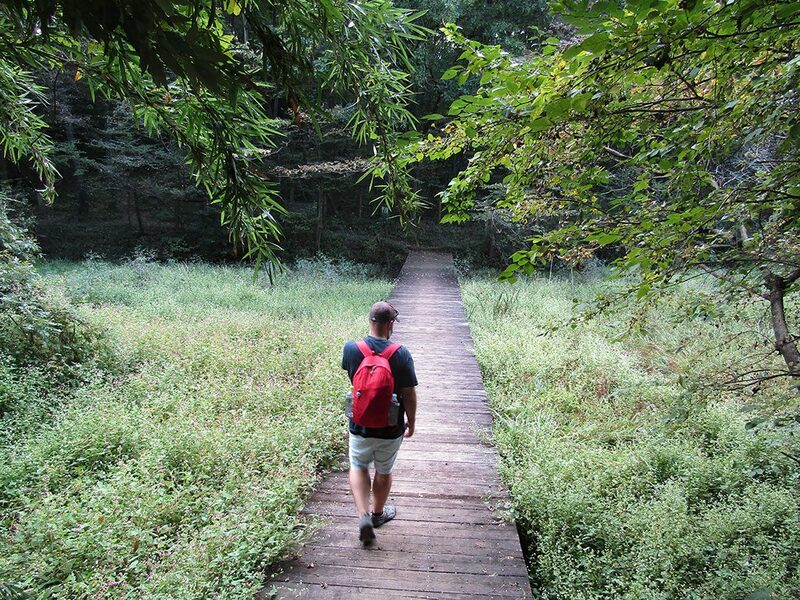 We’ve been trying to milk the end of summer by heading out for some local hikes. 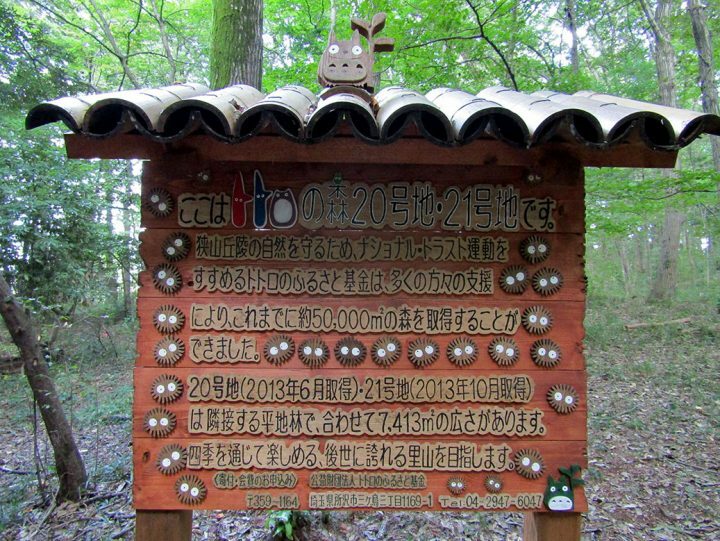 While looking for something new this week, we stumbled on something called Totoro’s Forest. 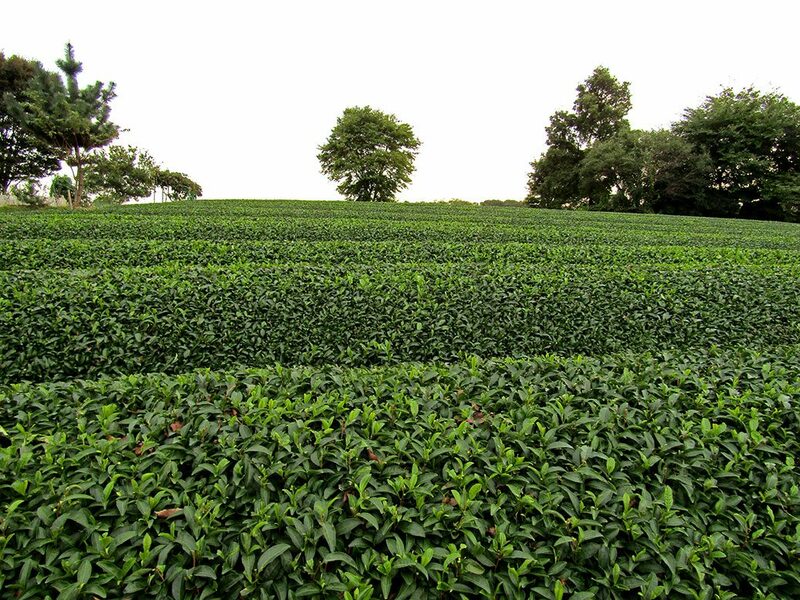 About 10 miles to the south of us is 8,650 acres of woodlands known as Sayama Hills. 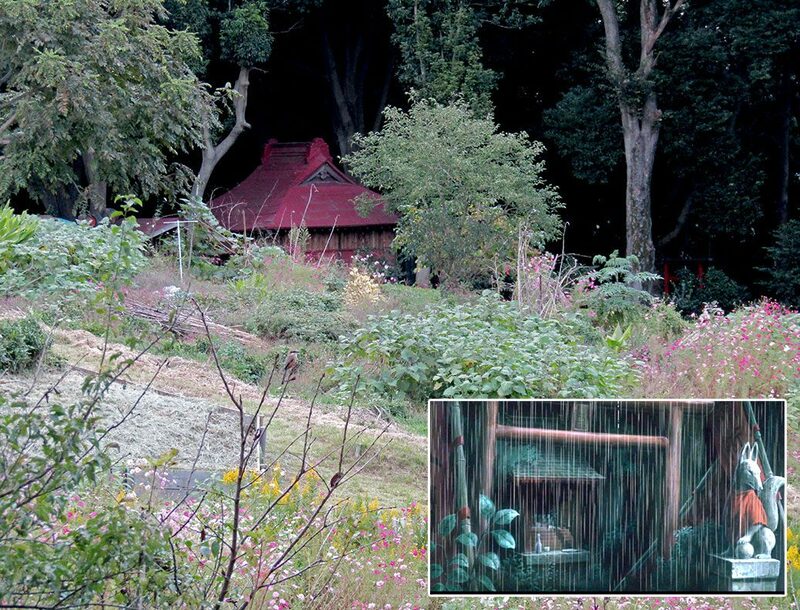 More famously, it’s the inspiration for the lush, magical forest scenes from My Neighbor Totoro. The Totoro no Furusato Foundation has been working to preserve the area’s natural beauty over the past 25 years. 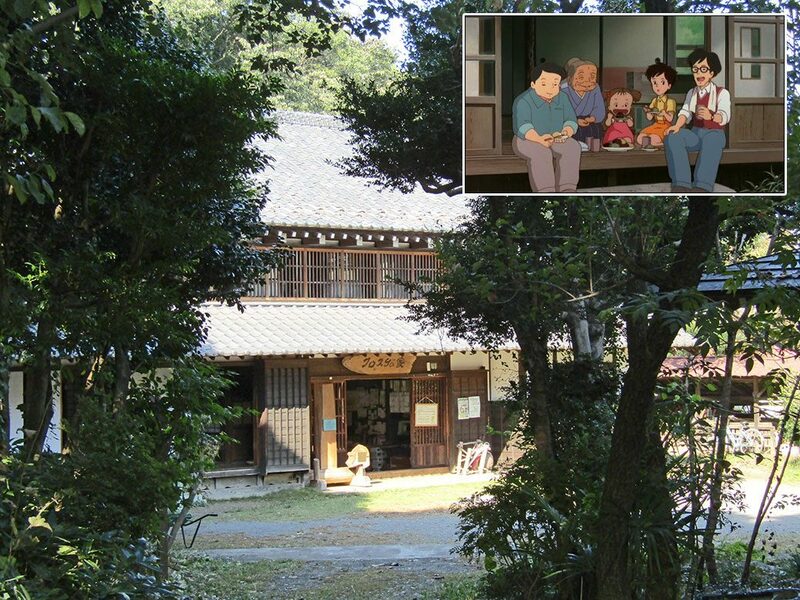 If we were going to find Totoro, it seem like this was the place to do it. 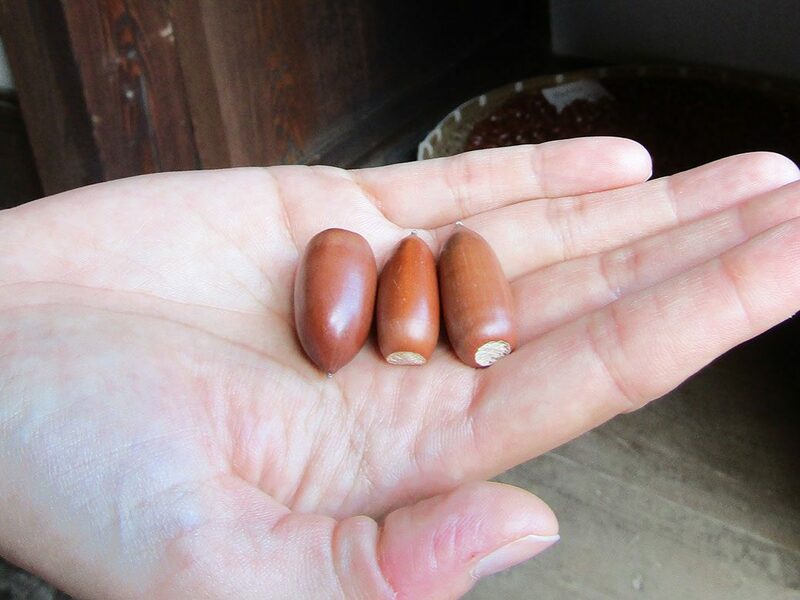 At Kurosuke House, we first spotted the acorns. We knew we were hot on Totoro’s trail now! Our first stop was the Kurosuke House. The 100-year-old home is a perfectly-preserved example of early 20th-century Japanese homes and also served as inspiration for some of the home scenes in Totoro. The foundation runs a small gift shop inside and offers maps of the local area. A basket on the outside porch contained several acorns. One of Totoro’s plot devices is how one of the girls in the movie finds a trail of acorns, which eventually lead them deep into the forest and to Totoro. The first sign! Information about Totoro Forests #20 and #21. We left Kurosuke House and headed down the road to the Tokorozawa campus for Waseda University. Just off its camphor tree-lined path was the trailhead for the first two Totoro Forest sections. We headed up the narrow mosquito- and spider-ridden path, seeing the irony of this hike taking place within spitting distance of the university’s paved bike path. 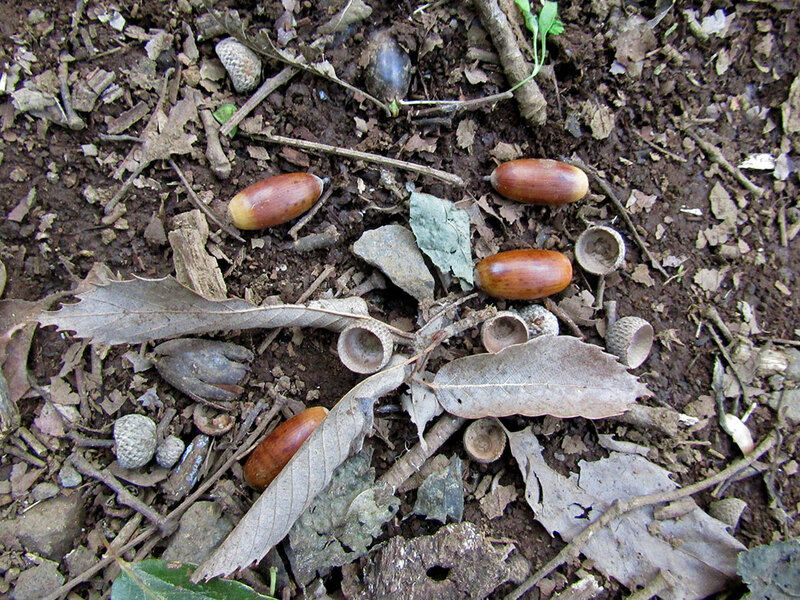 We started to see more acorns on the ground, seemingly laid on the trail as if they wanted to be followed. We stayed with the trail, crossing a mudbog that seemed to be the source of all of Japan’s mosquitos before arriving at a fork in the path. Straight ahead was a sightseeing spot. 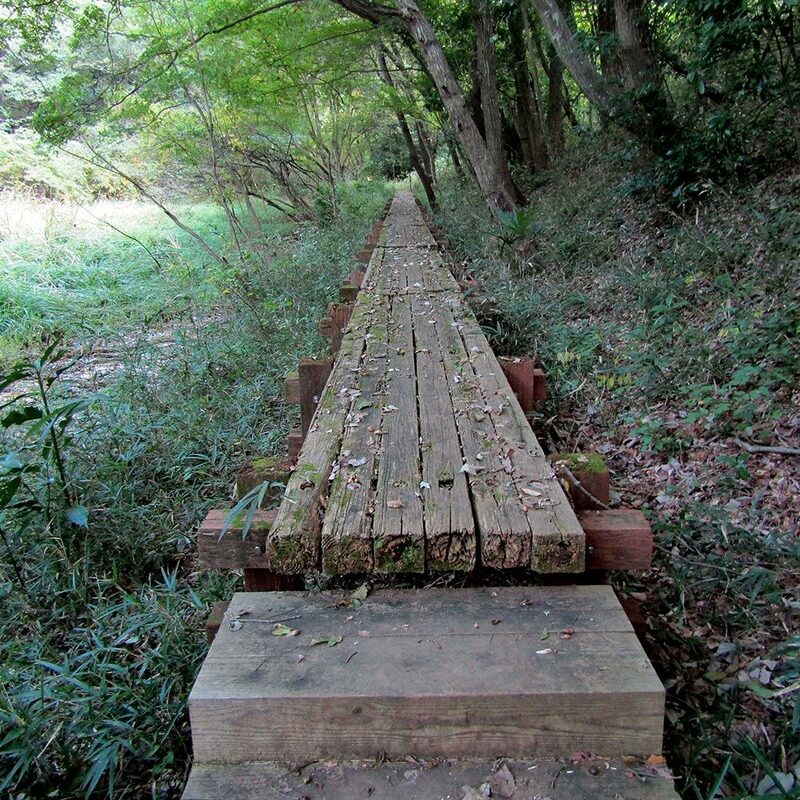 To the left, a scenic wooden footbridge leading deeper into the forest. Not wanting to get too far off the trail, we followed the footbridge. 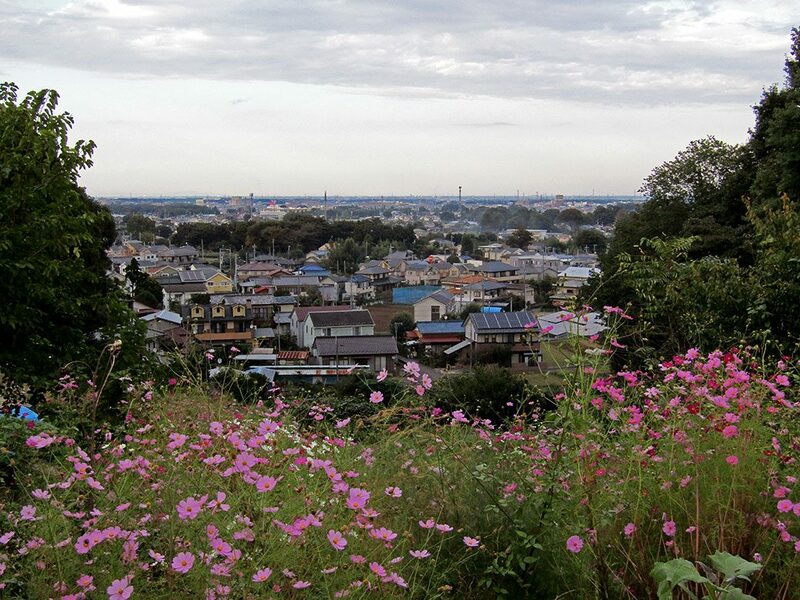 A view of Tokorozawa City from the hillside. Miyazaki lives in Tokorozawa. A tea plantation in the hillside. 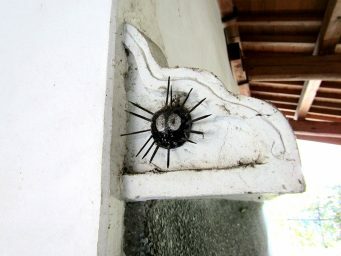 Kotiya-san, an artist with an eccentric style, came out to greet us along the path. He gave us one of his pinwheels made from old water bottles. 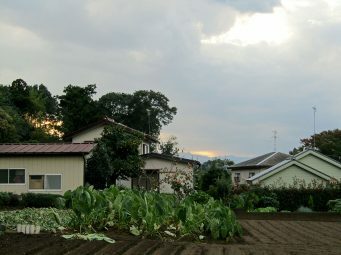 As the sun began to set, we knew we had better pick up the pace if we wanted to find Totoro. 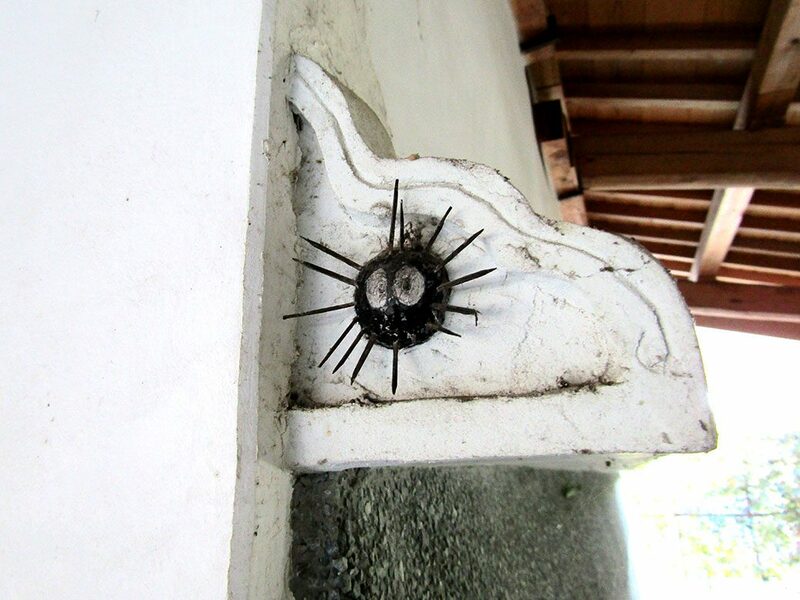 The houses were few and far apart in this area, but as we approached the stretch run, we came to a home with several eccentric pieces of art decorating the fence. The owner, Kotiya-san, came out to greet us. He gave us one of his pinwheels made from old water bottles and sent us on our way. It was just down the street from Kotiya-san’s house when we saw it. The fur. The big eyes. The ears… is it Totoro? Close, but no cigar! 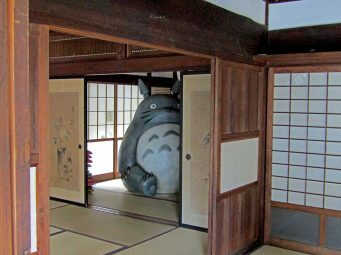 Likely a creation of Kotiya-san himself, a life-size version of Totoro known as Tokoro-chan made mostly from old fir branches. We headed back into the forest one last time. The dark path was carved out of the ground with trees rising high above on both sides. There’s a scene in the movie when the family comes out of the woods that was clearly inspired by this stretch of forest. 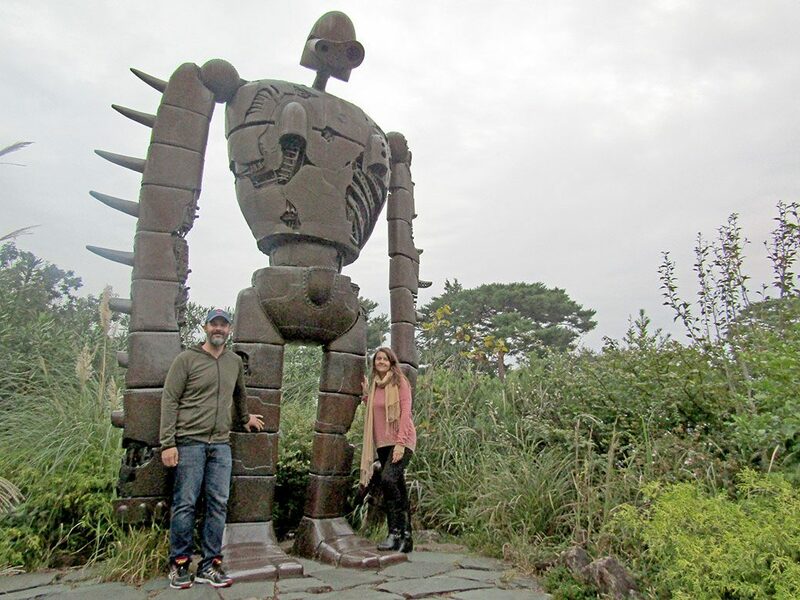 We emerged on the other side without an actual Totoro sighting, but we definitely stepped into Totoro’s world for a day. What a beautiful world it is! 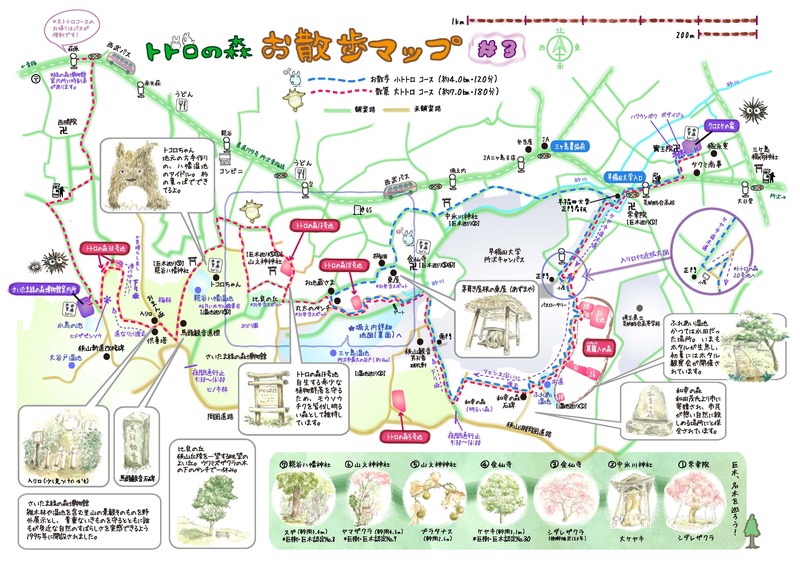 Walking guides of the area are available via the Totoro Fund website. The maps are only available in Japanese and lack some of the detail you’d want from a hiking map. 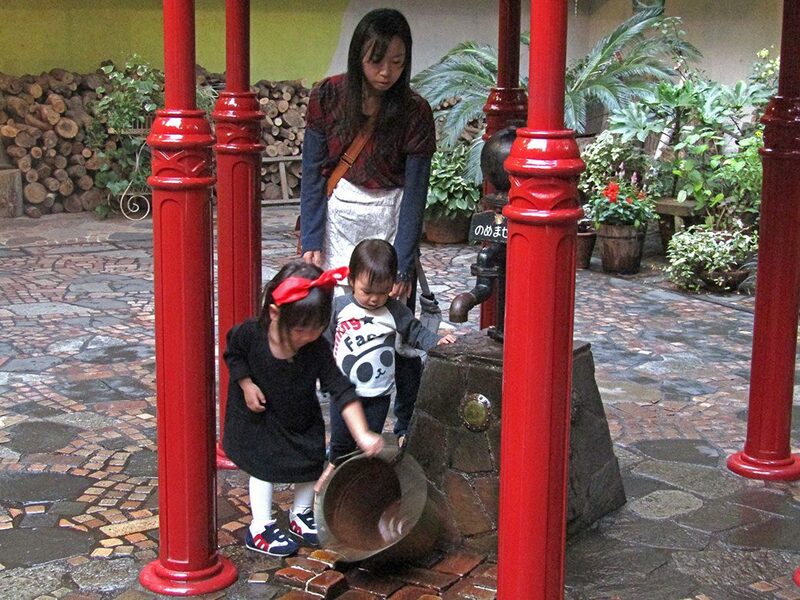 We followed map #3 from Kurosuke House to the Saitama Green Forest Museum. (For a custom Google Map, click here.) If you go during the summer or early fall, I’d suggest long pants and long sleeves to keep the mosquito bites to a minimum.